We’ll be closing the shop on the Saturday and the team will all be down at the scout hut to welcome you all. Those who know the shop will now we can only fit 5 or 6 people in our social sessions and our waiting lists are long. Flock members don’t often give up their place at our sessions but at the scout hut, we can have 3 times as many! We will have much more space for you to bring your friends and sit in your own social groups. Tables will be available too. You can bring your own sewing machine and have the space to sew while your friends knit! Also, we must not forget the refreshments!!! 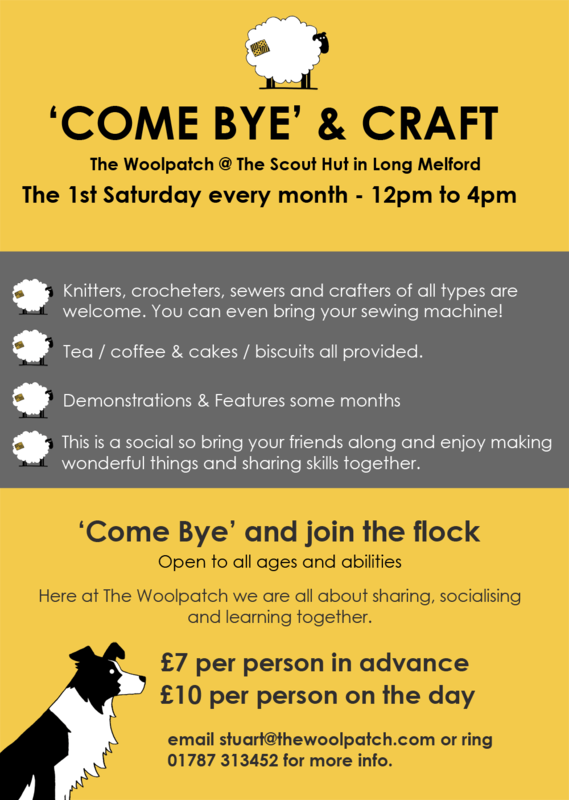 The Woolpatch Team will be providing Tea/Coffee/Squash and some sort of biscuits and cakes! We’ll also have some treats from Terese (Long Melford Team Room) too! Tea/Coffee will be unlimited too so you can really kick back and relax for the afternoon. You can stay for the entire afternoon, or just do a couple of hours. It’s up to you! you come and go as you please. If it takes off, then this will be repeated every 1st Saturday in every month. Here at The Woolpatch we are all about sharing, socialising and learning together. Everyone welcome. Open to all abilities. So ‘Come bye’ and have a cuppa and treat yourself to some time out, some time out to relax, to socialise, to make new friends, to meet old friends, to laugh, to share, to learn and to simply be. I’ll be there along with some of The Woolpatch flock too, with our knitting! Can’t wait to see what’s on your needles, or sewing machine.